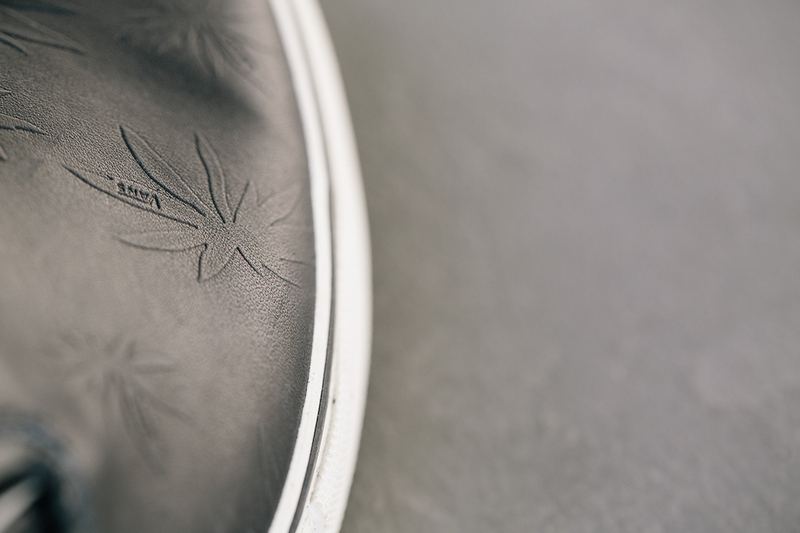 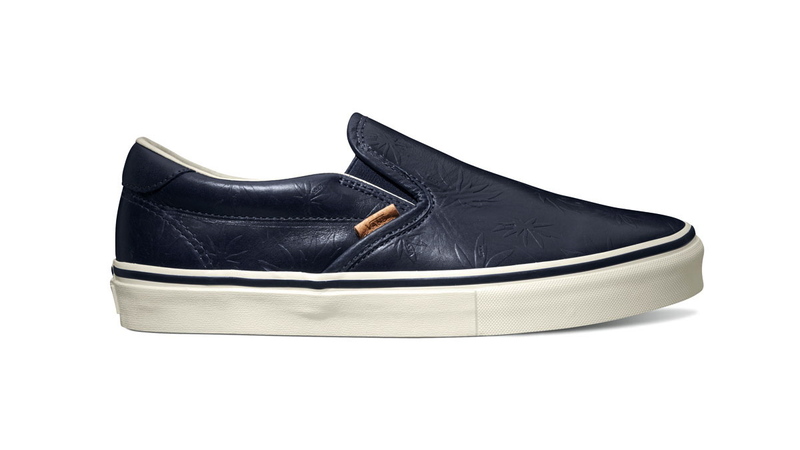 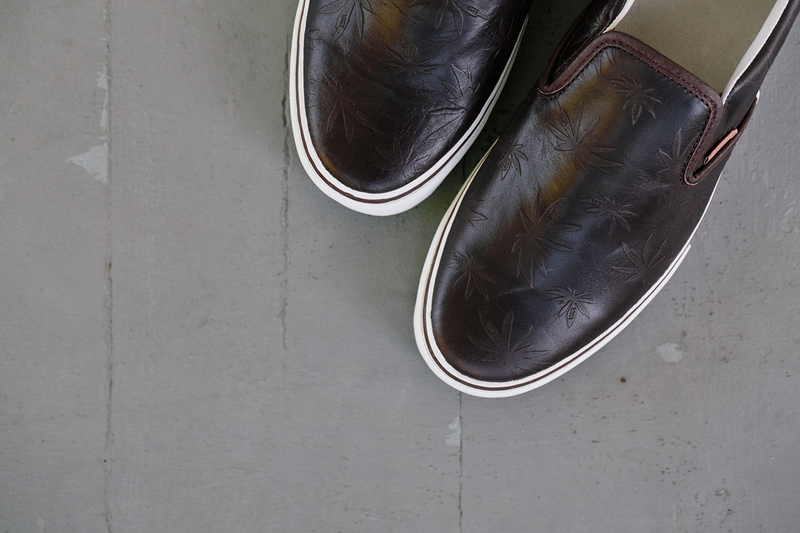 The classic Vans Palm Leaf motif continues this season, appearing on two new colorways of the premium Slip-On 59 LX. 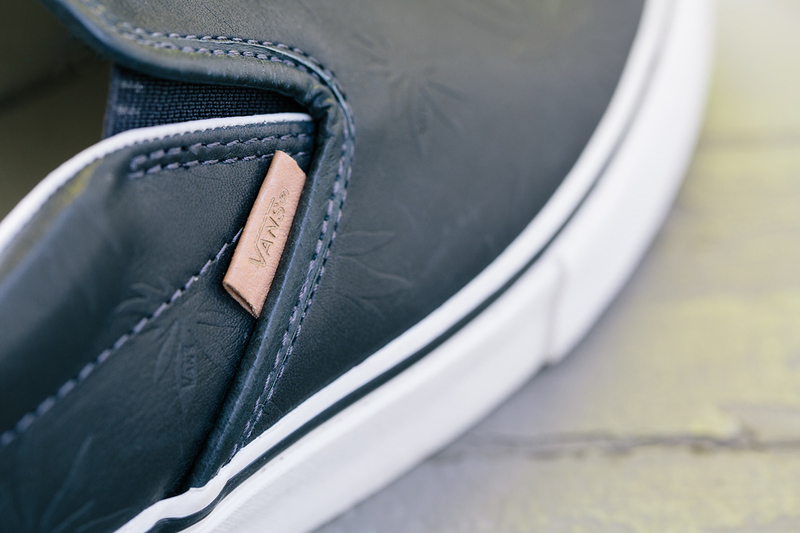 The classic Vans Palm Leaf motif continues this season, appearing on two new colorways of the premium Slip-On 59 LX. 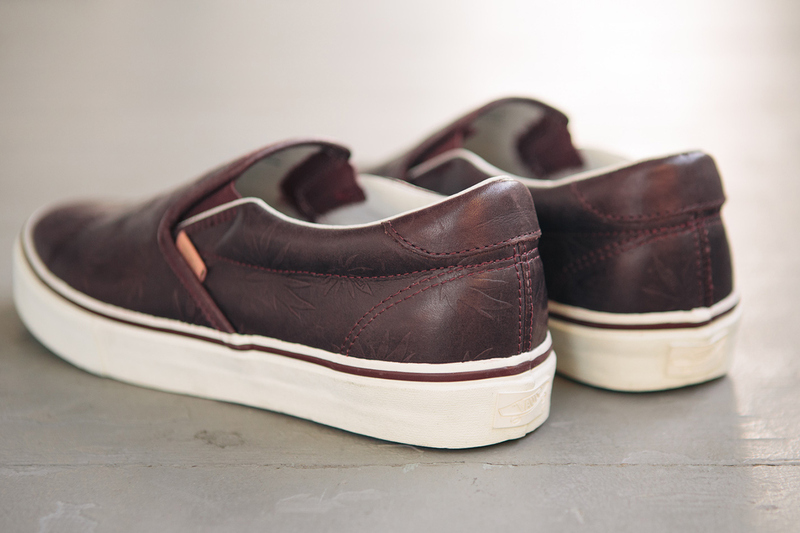 The Vans Vault "Leather Palm Leaf" pack features the iconic Slip-On in Bitter Chocolate and Navy colorways, each utilizing an embossed Palm Leaf print running throughout a premium leather upper. 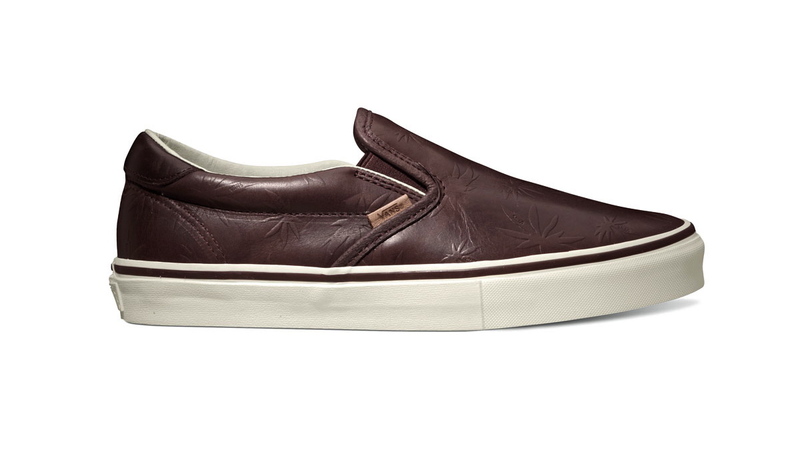 The Vans Vault Classic Slip-On 59 LX "Leather Palm Leaf" Pack will release this September at Vans Vault retailers.